Begins at 8pm in Memorial Park outside the Bayou Terrebonne Waterlife Museum; picnic blankets and lawnchairs welcome. “Mr. Bill gives Shell the Bill”- mockumentary short by Walter Williams; “Oil Story” by Andrea Dupree with audio by Cosmic Reward; “La Terre Est Enflammée” music video for Isle Dernière featuring the Geaux Geaux Sheaux, by Andrea Dupree & Walter Williams; “Monsters” Video Art debut for Don Puebla and the Shawls by Andrea Dupree; “Big Bird’s Birthday”- stop motion video and digital transcription of Fisher-Price® Movie Viewer’s “Big Bird’s Birthday”© from 1971, By April Leonard & James Dupree. 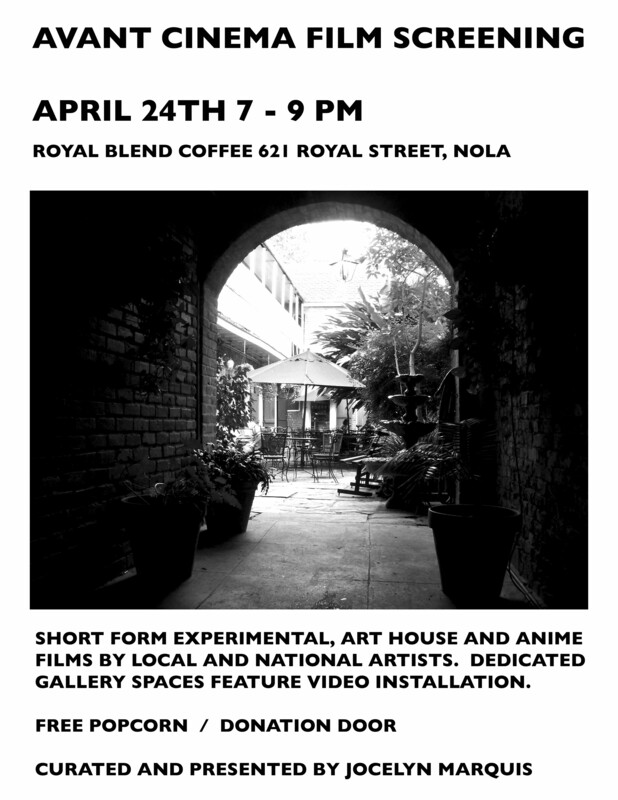 This will be followed by a special screening of Glen Pitre’s Belizaire the Cajun to celebrate its 25th anniversary,. Come out and meet the filmmaker! > experimental, art and animated cinema on five screens. > feature the video installations. Simone Bailey, ELINORE BEAUREGARD; additional films by Hans Michaud and Cassidy Vare. Due to mature content, this show is recommended for audiences 18 or over.